Does your world revolve around dance? Show off your dance team pride with one of our custom handmade braided cord wrap bracelets! These cool bracelets are available in child, men’s and women’s sizes! We are also able to make them in your dance team colors*, so you get a very personalized bracelet with this listing! Each bracelet is made from several strands of different types and colors of cord or braided cord, all attached to a clasp which means you can take the bracelet on and off easily in one move! This style features a girl dancing charm plus the word “DANCE” and an infinity love charm. 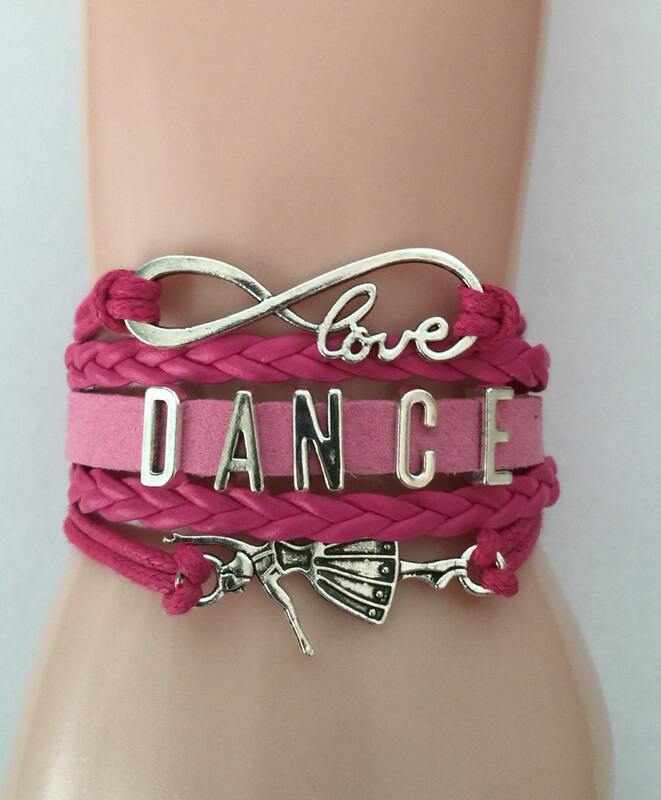 This bracelet will make a great individual birthday or Easter gift for a dancer in your family or teachers can buy them for the whole dance group to reward a great season or as a cute Christmas gift for all the dancers in your class. *please look closely at the product pictures to decide what colors you would like to include in your bracelet(s) and send us a message in the “Notes to Seller” part of your order to indicate your choices. Up to three colors per bracelet. This bracelet takes 1-2 weeks! Got this as a gift, she loved it!! This was a gift, she loved it!